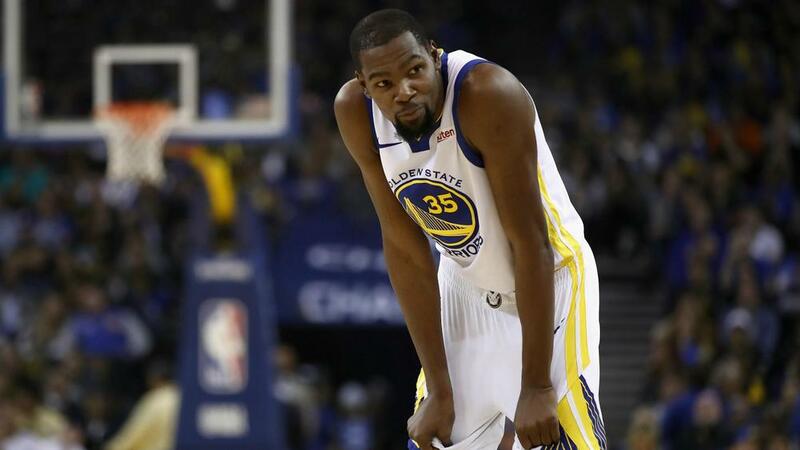 Golden State Warriors head coach Steve Kerr said Kevin Durant "just does not feel like talking right now" amid the star's media silence. Durant has not spoken to reporters since the New York Knicks traded Kristaps Porzingis and other pieces to the Dallas Mavericks on February 1. The two-time NBA champion and Finals MVP is rumoured to be considering signing with the Knicks in free agency after the 2018-19 season concludes. Kerr told the media to "give him some space" ahead of Golden State's matchup with the San Antonio Spurs on Wednesday. "We all have things that go on in our life. ... Sometimes you just want to curl up and you know, most of us of us are allowed to do that," Kerr said. "But not in the NBA. Kevin has been unbelievable with the media since he's been here. He's always accountable and here. So he just doesn't feel like talking right now. "We're functioning as a team, we're doing our thing, we're playing, he's coming in and competing and working at practice." Durant – who arrived from the Oklahoma City Thunder in 2016 – is averaging 27.5 points, 7.1 rebounds and six assists for the Warriors this season. Golden State's 37-15 record is the best mark in the Western Conference. The Warriors have won three NBA championships in the last four seasons.